Swiss Artemisia Cream with Frankincense on an aloe vera gel base. From Swiss organic farming. 30 ml Artemisia cream: aloe vera gel (barbadensis miller), Artemisia extract, Frankincense. 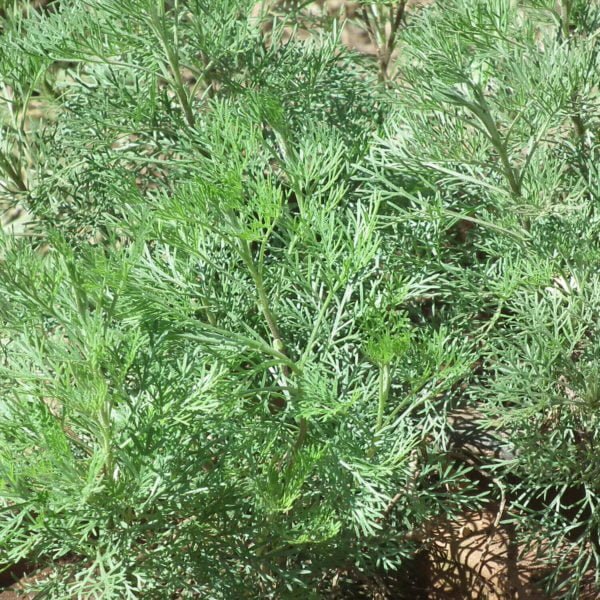 The plant Artemisia annua is also known as annual wormwood, which grows into a human-sized bush in summer and thrives in our temperate climate. We only pick the leaf tips, which contains 245 proven phytochemicals, including artemisinin. For the ointment, we use a highly concentrated extract obtained from these leaf tips, maintaining all the active substances. 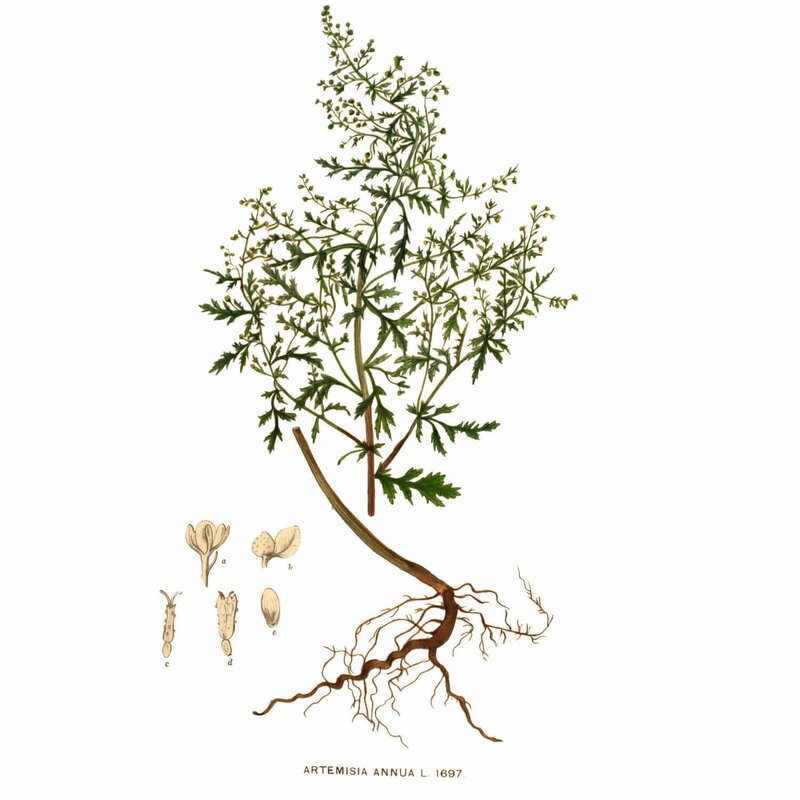 How is Artemesia Cream produced? Our Artemisia Annua plants are grown and handpicked in Switzerland. 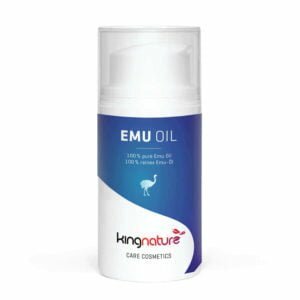 Only the tips of the leaves are harvested, carefully dried and extracted to make the final cream—enclosing as many as possible the valuable active substances from Artemisia. 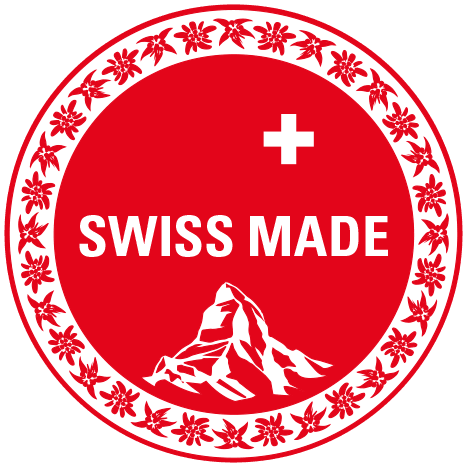 All of the productions are processing exclusively in Switzerland. 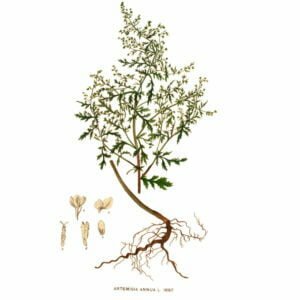 What does Artemesia Cream contain? A 99.9% pure Aloe Vera Gel (from the inner leaf of the plant) is used to make the cream easy to apply. Also added is Frankincense, which gives a pleasant fragrance to the cream. As a side note: people have used Frankincense also as an ingredient in skincare for many generations. When should Artemisia Cream be used? Apply Artemisia Cream to ease skin irritations and skin problems. Artemisia cream with aloe vera gel, artemisia extract and incense. Contents net 30 ml. The Artemisia cream is available from stock. Genuine aloe vera is used for the aloe vera gel. It is sometimes also called Aloe barbadensis or Aloe barbadensis miller. But it is the same plant. 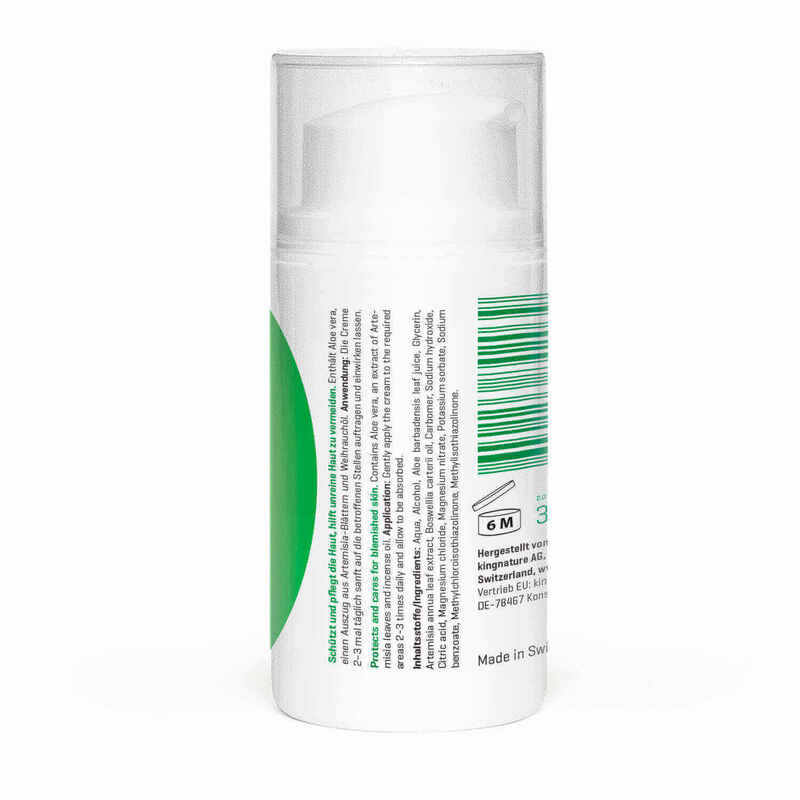 The Artemisia cream is delivered in a practical dispenser (Airless pump). The cream is always protected from contact with the air and can be dosed cleanly. When using the cream for the first time, several pump strokes may be necessary until the cream is dispensed. 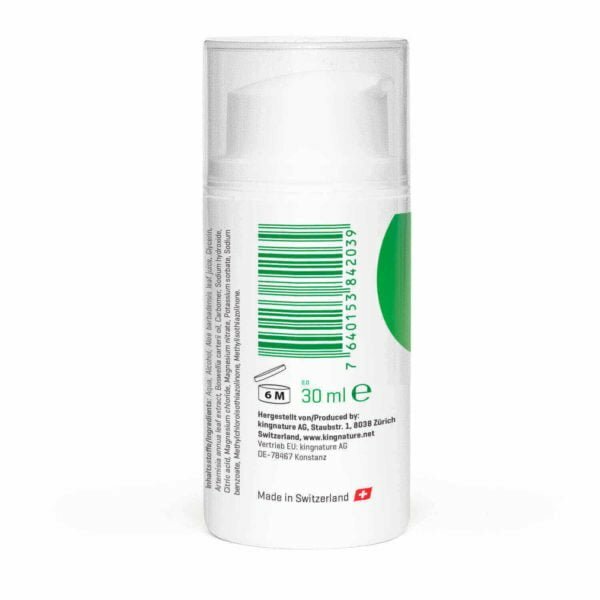 The Artemisia cream is also available at your pharmacy or drugstore (Pharmacode 6569557). Apply the cream 2-3 times daily to the affected areas. Buy Artemisia Cream online now: We also accept Visa / Master Card and Postcard.